during the final Fader SXSW showcase, Timbaland told the crowd that his partnership with Tink is meant to be. 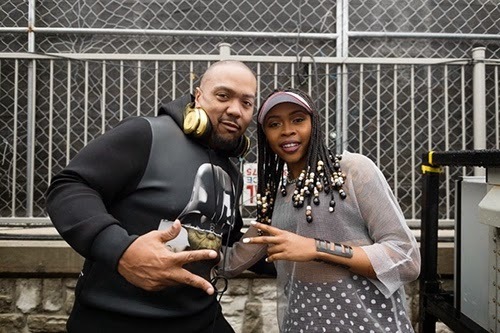 Timbaland performed a DJ set before bringing out Tink to rap over some of his latest productions. The Chicago emcee performed new material from her upcoming album, including a track that interpolates Aaliyah's "One in a Million". This was surprising considering the sacred esteem in which Timbaland holds Aaliyah's body of work, but, after Tink's rendition, he was quick to convey how serious he is about her potential. "I don’t touch any of my sister’s records. I don’t touch Baby Girl’s records—you know that’s Aaliyah, She spoke to me in my sleep and said, 'She's the one.'" he told the crowd. Though, in this case, he was given permission by the woman herself: Damn, that sounds like an incredible dream.